The Best Pro 1 is a very powerful unit, however some of the features you need to know are hidden because there is no digital screen. One chance usage in the dark led us to work out ways to improve your understanding and application strategies so you can get even better results than what ends up being the one size meets all in person training where the loudest participants get their questions answered and yours don't get a chance to be heard. 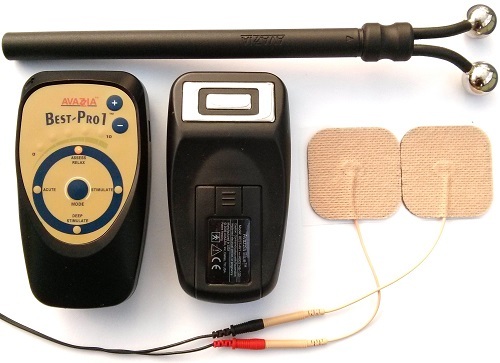 Review: The Avazzia Best Pro 1 is a semi professional effective “4 speed” micro-current biofeedback device running on 2 AA batteries with a port for plugging in the external electrodes like the stick on pads or the optional Y probe. Ideal for the professionals and beginner or as a backup. Medical reimbursable in the USA with most medical insurance carriers. Click arrow to choose the best option for you. Remember “Success Loves Speed”.